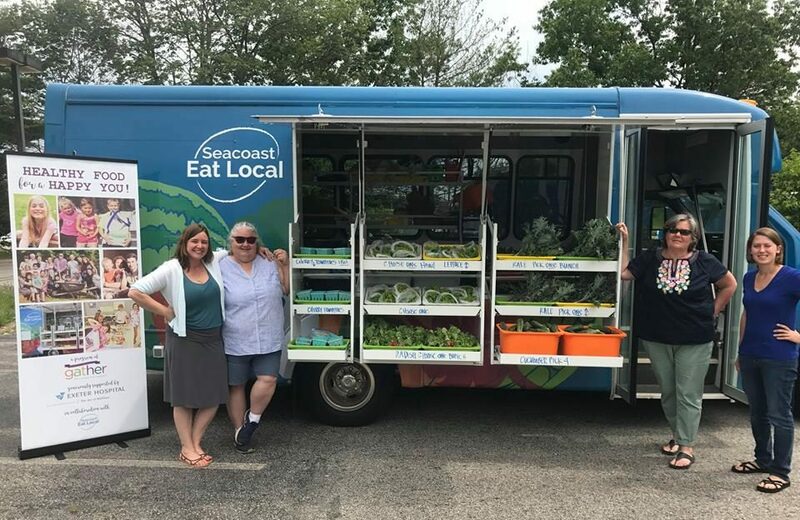 The mission of the Seacoast Area Mobile Market Program (SAMM), as part of Seacoast Eat Local, is to strengthen communities through greater access to local foods for all Seacoast residents. We believe that by bringing locally produced, fresh food products to individuals in their communities of home and work, we will eliminate transportation barriers and thereby expand access to local food. Expanding food access in communities with historically limited access to local foods will, in turn, support the growth and spread of local agricultural efforts and businesses and also further cement the commitment to and education supporting local foods and agricultural across our region. In Summer 2019 Seacoast Eat Local will be seeking 5 interns to join our team as colleagues for approximately 10 hours per week. Interns can come from a variety of academic disciplines, but should be highly self-motivated, reliable and committed to our mission. Interns are vital to SAMM’s success. Individuals in this position will physically assist in running SAMM, but will also have opportunities to learn and engage others in learning about local communities and businesses, as well as local agricultural production. Interacting professionally with farmers when picking up products. SAMM Interns will never be asked or permitted to drive the vehicle, as a matter of insurance liability. SAMM volunteers will ride in the vehicle with the SAMM/SEL Staff and will agree to wear a seatbelt at all times while the vehicle is in transit. Brief Position Description: This is a physical position- interns should expect and be able to lift up to 50lbs and to work in sometimes hot and inclement weather. Interns will be involved in all day-to day aspects of the SAMM program. This will include picking up product (vegetable orders), setting up the SAMM vehicle for the day, traveling to stops and setting up/breaking down the stop site, completing customer transactions and providing community education experiences such as fruit and vegetables tasting opportunities. The intern MUST be able to commit to one full day of operation for the duration of their internship. Typically, SAMM operates Monday-Friday from roughly 8am-6pm. The intern will need to provide their own reliable source of transportation to meet SAMM and then will travel on board the SAMM van during the day.. Successful candidates will be responsible, reliable and self motivated. They will be well spoken and able to represent Seacoast Eat Local positively in a public setting. Candidates must be able to provide their own source of transportation. This is an unpaid internship, but SEL is willing to work out credit options where possible and good work will be rewarded with strong letters of recommendation, introductions to organizations of interest and possible opportunities for future hourly work. This internship is a great opportunity for a self-starter to work and be respected as part of an enthusiastic and dynamic team. Please send a resume, cover letter and 2 contacts for reference to Celeste Gingras, at [email protected] Incomplete applications will not be considered. Applications will be accepted starting immediately and the position will remain open until filled. Posted in UncategorizedLeave a Comment on SAMM is looking for summer interns! Seacoast Eat Local is hiring a Program Director to oversee the operational success of our mission to connect community members with local food and farms. We are seeking a motivated, energetic, and hardworking person with a strong interest in local food access and community food systems. faceted local food system, while also providing the organization with the fiscal oversight and program delivery that will allow Seacoast Eat Local to continue our work as a strong and robust regional non-profit. skills include proficiency in computer use, strong project management, leadership of staff and interns, and a demonstrated aptitude for excellent verbal and written communication. This is a self-driven leadership role within our organization, and the person hired to fill this role will be expected to serve as a supervisor of our staff, contact person with stakeholders, and collaborator with the Board of Directors, to whom they will report. This is a full time, salaried position that includes healthcare and paid vacation. We offer a flexible working environment and schedule, though applicants must be willing to work some weekends and nights. To apply, please send a cover letter and resume to [email protected] by April 6. Posted in UncategorizedLeave a Comment on We’re hiring! 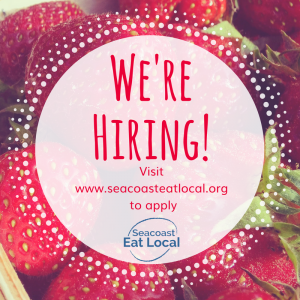 Are you Seacoast Eat Local’s next Program Director? Donate and Shop at the Fabulous Find in June! The Fabulous Find, a 501c3 non-profit organization, is a boutique style resale shop at 139 State Rd (Route One) in Kittery which partners with different worthy, local non-profit organizations each month. All profits are donated to whatever organizations are selected by our board for that particular month. 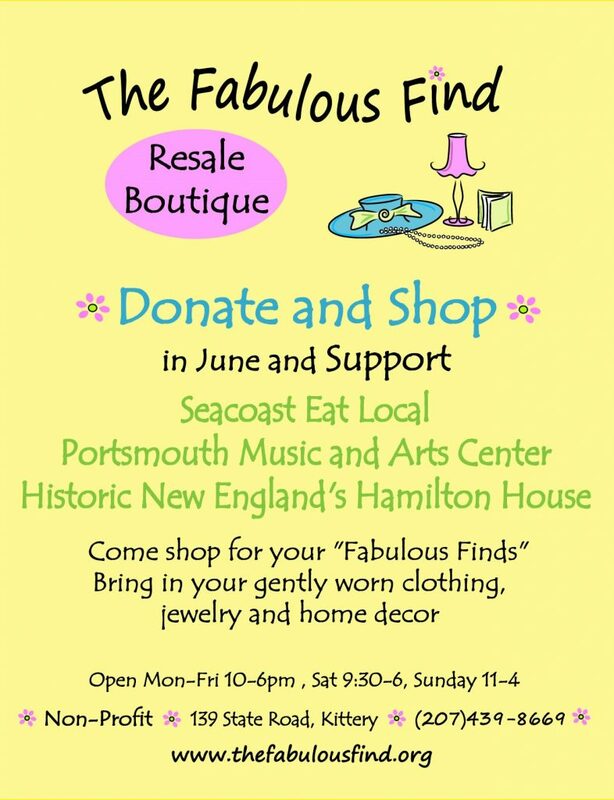 Donate and shop in June to support Seacoast Eat Local, PMAC, and Historic New England’s Hamilton House! Posted in events, volunteeringLeave a Comment on Donate and Shop at the Fabulous Find in June! Welcome Eleanor Kane to the Seacoast Eat Local board! 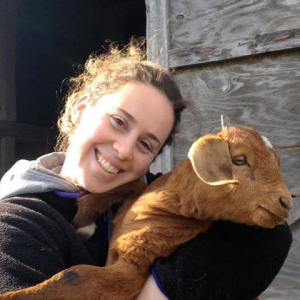 Please join us in welcoming Eleanor Kane, co-owner of Brasen Hill Farm and all around fantastic strategic thinker, to the Seacoast Eat Local board. We are thrilled to have her experiences and perspectives as we continue connecting more people to more sources of local food! Eleanor Kane is the co-owner of Brasen Hill Farm in Barrington, NH. She became interested in the movement towards local, sustainable food and humanely raised animals during college and is excited to provide her community with healthy, local meat, eggs, and vegetables. Since joining the New England farming scene in 2010, she’s never looked back! In addition to farming, she has worked in various capacities at a range of nonprofits, where she has focused on environmental education, social justice, local food access, and community building. She holds a Masters in Public Affairs from Brown University and is currently a PhD candidate in Education at the University of New Hampshire. Posted in author: Sara Zoe, volunteeringLeave a Comment on Welcome Eleanor Kane to the Seacoast Eat Local board! Welcome Anna Cantelmo to the Seacoast Eat Local Board! Please join us in welcoming Anna Cantelmo, owner of Bell & Goose Cheese Co. and fantastic human being, to the Seacoast Eat Local board. We are thrilled to have her experience and perspective as we continue connecting more people to more sources of local food! 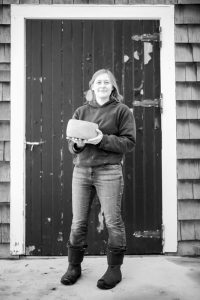 Anna Hayward Cantelmo is the owner of Bell & Goose Cheese Co. in South Hampton, NH. She is a cheese maker, farmer’s wife, mom of two, and has been involved with the local food community since 2008. Before opening her cheese kitchen Anna worked for Heron Pond Farm and Jewell Town Vineyards managing a farm stand, tasting room and doing farmer’s markets. Most recently she was the cheese maker at Appleton Farms, a non-profit educational farm in Ipswich MA. Creating food that connects people to their community, the land and each other is why Anna has chosen this work. She is excited to deepen and expand these connections through Seacoast Eat Local. Posted in author: Sara ZoeLeave a Comment on Welcome Anna Cantelmo to the Seacoast Eat Local Board! It’s that time of year again and the staff and volunteers of Seacoast Eat Local are working busily to prepare for the spring 2018 edition of Seacoast Harvest. Seacoast Harvest ensures that all Seacoast residents continue to have access to the most accurate, up to date information regarding local foods resources in our region. We hope that you will considering donating for our 2018-19 publication year. The coming edition will benefit from several changes and upgrades to our process. First, we have launched a new website with improved ability to search for specific farms or by product/town. Secondly, we are taking a closer look at how and where Seacoast Harvest print copies are distributed to ensure that we are reaching as broad an audience as possible with over 75 distribution locations. If you would like to recommend a distribution place, please let us know! Finally, Seacoast Eat Local will be increasing its number of print copies this year from 8,000 to 12,000, ensuring that you will see our guide at more locations throughout the year! Your gift in support of Seacoast Harvest means a lot to us and makes this project possible! Please consider making a tax-deductible contribution to support our 2018-19 edition and remember that individuals/families donating at least $25 receive a copy of Seacoast Harvest mailed to their home! Give to Seacoast Harvest Today! Posted in Seacoast HarvestLeave a Comment on Support Seacoast Harvest Today! We’re all eating a lot in January – livestock included. Forecasts of arctic blasts and winter storm watches send many of us out to stock up on food and fuel. As a shepherd, the needs of my flock during bad winter weather are no different than the needs of me and my family – access to shelter, fresh water and food. And, like me, my sheep eat a lot more when it’s bitterly cold. Our Durham, NH flock ate twice as much hay and grain per day during the cold blast that hit the region the last week of December through the first half of January. That means my supply of feed, harvested and stored throughout last summer, may not be enough to get me through to late spring, when I can put the flock back out on pasture. I’ve already started calling my “hay guys” to find out what they have stored. Alas, not much, given the long, cool spring and dry late summer and fall we had last year. Prices for hay are going to climb throughout the months ahead. Some members of the flock, older brood ewes that are not pregnant, can get by with less. But breeding rams, lambs still growing from last year, and pregnant ewes cannot. Pregnant ewes, due to give birth in early February, can consume twice as much feed and three times as much water per day during the last month of their five month pregnancy, the most critical period for lamb development in utero. Ensuring adequate food and fresh, unfrozen water becomes the highest priority. Even on the coldest day in January, the flock is eager to get out of the barn, stretch their legs, watch the birds, eat the snow, and nibble on Christmas trees dropped off by neighbors. Concerned folks will call to let me know the sheep are out, and I appreciate their interest in the flock’s welfare. I let them know that the sheep can choose to go inside if they like, and that keeping the sheep cool on a hot and humid August day is harder than keeping them warm on a bitter January day. 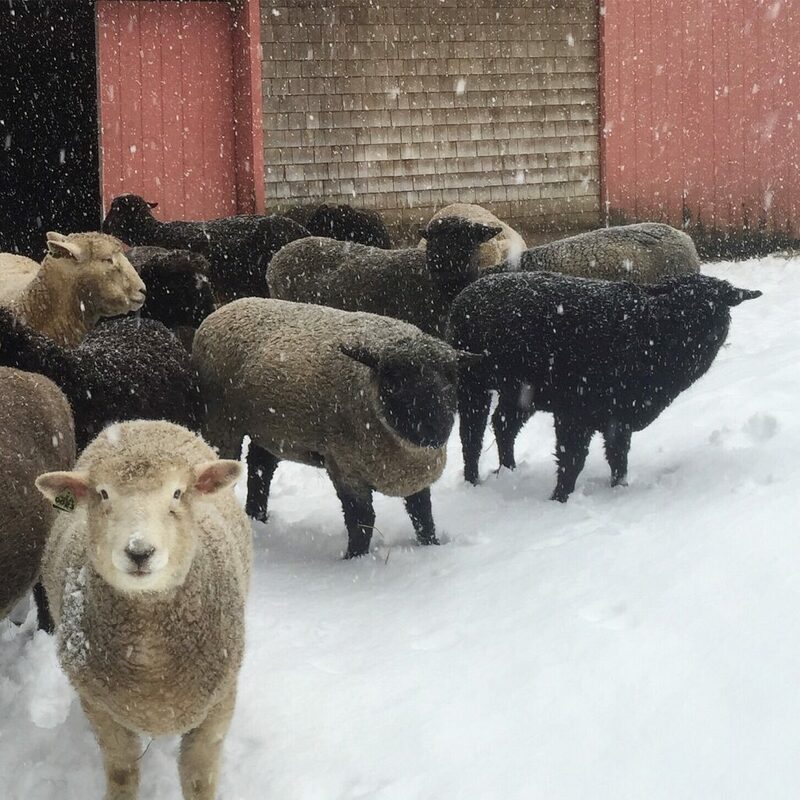 Sheep are built for our New Hampshire winter weather, their wool coats prove it! It’s time to be counted! List your farm for free in the 2018-19 edition of Seacoast Harvest and be included in 12,000 print copies and our searchable online database. 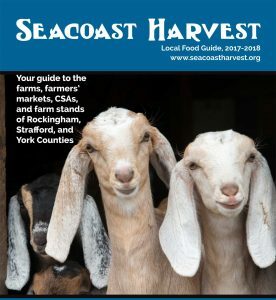 Seacoast Harvest is an annual print and online publication providing information and resources for purchasing local foods in Rockingham, Strafford and York Counties. Any farm may list- for free! The requirements are that you produce food products and that your farm is located in Strafford, Rockingham and/or York Counties. Each farm must list each year to be included, regardless of whether you have listed in the past or whether your farm information has changed. The survey, from which we cull all listing information, is in depth and will take approximately 20 minutes. To ensure that you are satisfied with your final listing, it is important that you fill out the form completely and accurately. The deadline to list is February 2. Seacoast Harvest is a time intensive project and the costs incurred are large, over $20,000 annually! These costs include graphic design and layout services, extensive staff time, web design services, printing and distribution. We can’t do it without your help! Your donation or sponsorship is valuable in supporting our work. Families that eat healthier, are healthier. Farmers that sell more food, grow more food. Let your gift be the one that keeps on giving. Your gift helps all families on the Seacoast afford the same access to fresh, local foods while sustaining a vital food economy across our region. A gift of as little as $15 goes a long way! 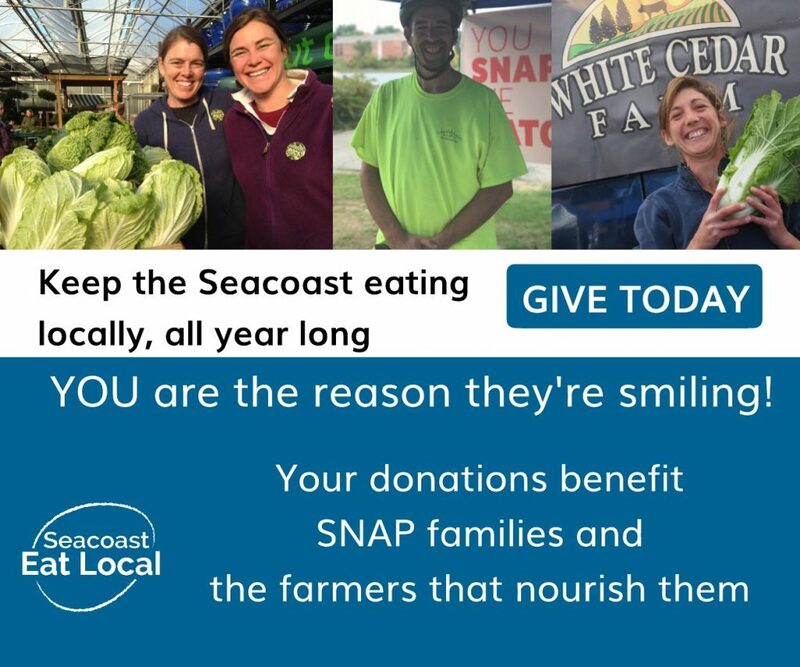 Please consider a tax-deductible donation to support the work of Seacoast Eat Local and the winter farmers’ market series. 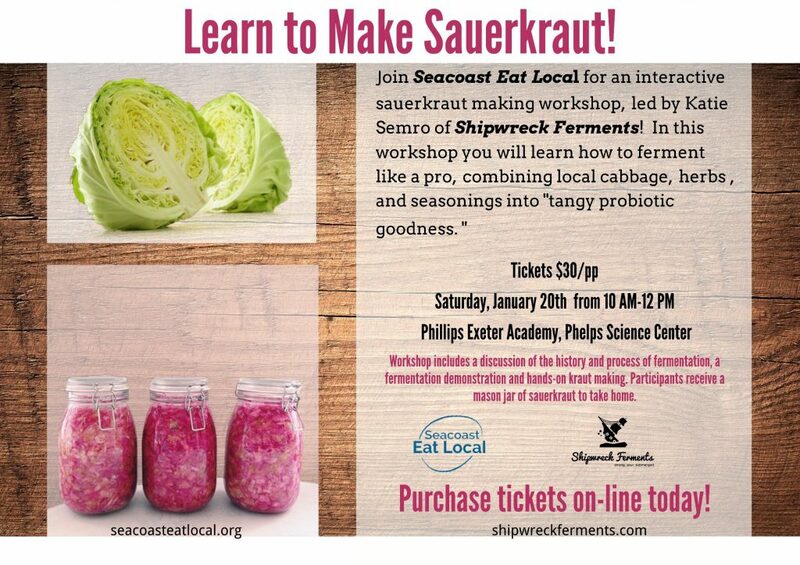 Posted in events, fundraising events, learningLeave a Comment on Learn to make Sauerkraut!